Oklahoma City Forklift Training – Get Hired with a Forklift Certification! Whether or not you’re impressed that the first parking meter ever was installed in Oklahoma City in 1935, you will be excited to learn that the area is an amazing place to live and work for those with forklift training. Known for having an average of 300 days of sunshine a year, and for being home to a wide range of industries, including manufacturing, agriculture, energy and agricultural processing; when you have forklift certification in Oklahoma City there are tremendous career opportunities available to you. Not only does forklift training in Oklahoma City open up plenty of job opportunities, but the city also offers tons of exciting attractions, including sports, outdoor activities, cultural institutions, great schools, and an excellent quality of life. Whether you’re new to the world of forklift operating or are looking for a new destination for your career, signing up for a forklift training program in Oklahoma is a smart more for building a bright future. Plus, forklift certification in Oklahoma City is a great resource for employers looking to get their forklift operators compliant. OSHA requires that all area employers should have their employees properly trained with OSHA-approved certification. CertifyMe.net, the leader in online OSHA compliant training, offers forklift certification in Oklahoma City at great prices with convenient access. In Oklahoma City, forklift certification can be attained in a variety of ways. Many of the city’s major employers offer forklift training. Oklahoma city hosts employers in a wide range of sectors that constantly need people to operate forklifts in warehouses, production and manufacturing facilities, agricultural and construction jobs, transportation and energy sites and more. Training can be done on-site with the employer or you can receive individual forklift certification in Oklahoma City with CertifyMe.net. When you apply for a job and you’ve already been trained and certified as a forklift operator, you dramatically increase your chances of beating out the competition for the position. You’ll save the employer both time and money and potentially position yourself for a better and higher paid position than before. If you’re an Oklahoma City employer, CertifyMe.net eliminates the hassle usually associated with OSHA compliance. Our training team here at CertifyMe.net has extensive experience with OSHA rules and regulations, and we offer a streamlined solution to your training requirements. Browse our courses to see which ones your employees need, and get started today! A forklift training program in Oklahoma City, OK can be found with many of the area’s major employers. Tinker Air Force Base, located in the area, frequently provides civilian jobs, as well as those for inactive military personnel, that involve operating forklifts around the base. Additionally the FAA Mike Monroney Aeronautical Centeremploys many residents of Oklahoma City. There are also a number of employers in the oil and energy industry that offer forklift training in Oklahoma City, including Chesapeake Energy. Other industries include that require forklift certification in Oklahoma City are in the fields of fabricated metal, computers, clothing, oil-field equipment, crude oil, back office, distribution and food processing. In addition to the many jobs available for those with forklift training in Oklahoma City, the area also offers an excellent standard of living and plenty of attractions for all personalities. Home to a rich western culture, Oklahoma City offers lots of outdoor activities, museums and cultural activities, as well as tons of national sporting events, and more. The city offers a vibrant nightlife full of fun entertainment and dining destinations, as well as great homes and schools for those looking to start a family. Oklahoma City forklift certification is easier than you think – and for employers in the city and surrounding communities, CertifyMe.net training is an affordable, easy solution to any non-compliance issue you have. Remember, it’s illegal to willingly let anyone operate a forklift in Oklahoma City – or anywhere in the United States – without training. Let CertifyMe.net get your entire workforce compliant with our Oklahoma City forklift certification today! Click here to get started today! For a full overview of our courses and pricing, visit our training catalog. 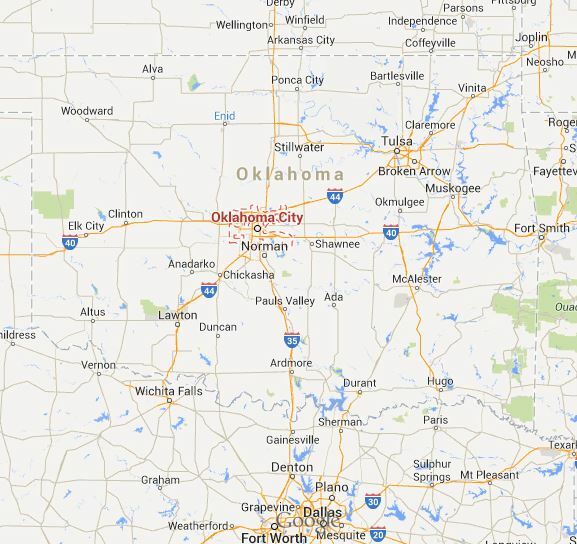 If you’re considering a change of location or change of career, heading to Oklahoma City for forklift certification is a rewarding move for an exciting future. Thanks for visiting CertifyMe.net. If you need assistance with your forklift certification in Oklahoma City, call us at 1-888-699-4800.